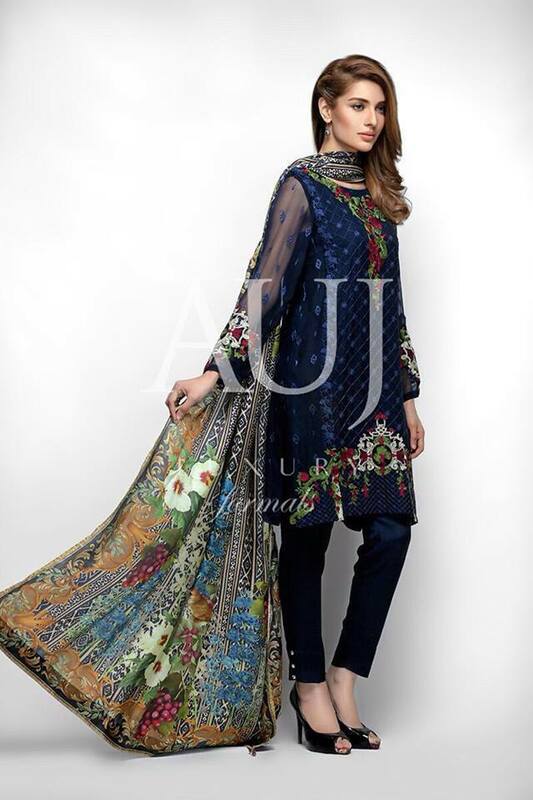 Sophisticated designs with elegance embroidery pattern, amazing collection of AUJ for Eid 2016. Pure chiffon fabrics using in this collection consisting of printed chiffon dupatta with dyed trouser, AUJ also known by his unique work. Have a look here we published complete collection of AUJ.